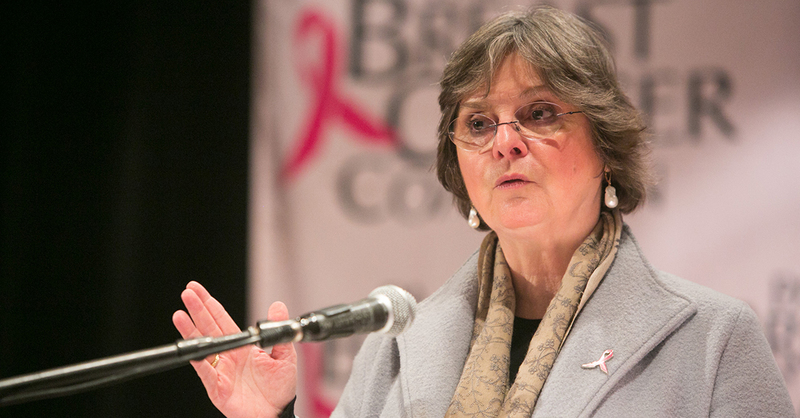 Harrisburg, PA – First Lady Frances Wolf today announced that 3D mammograms will be covered by insurance under existing state law and must be provided to Pennsylvania women at no cost. The announcement, which establishes that insurers must treat 3D mammograms the same as traditional two-dimensional mammograms when determining healthcare coverage, came during a meeting of the Pennsylvania Breast Cancer Coalition in Harrisburg. Three-dimensional mammograms, a service also known as “tomosynthesis,” are becoming more common as many health care facilities in Pennsylvania are replacing 2D mammography with 3D technology. The Pennsylvania Insurance Department has heard from many consumers that when given the choice of a 2D or 3D mammogram, the 3D option comes with an additional charge – typically between $50 and $60 – whereas the 2D mammogram would be free. Other consumers have reported being given a 3D mammogram without any discussion of their alternatives and receiving a surprise bill for the additional fee.